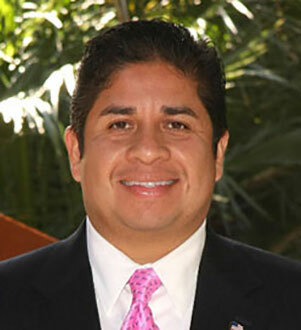 Mario E Diaz is considered to be one of the top government relations strategists in the Southwest. Mario began his career working for such notable individuals as U.S. Senator Dennis DeConcini, Congressman Ed Pastor and as the Law Enforcement Liaison for United States Attorney Janet Napolitano. Mario later managed the Janet Napolitano for Attorney General Campaign, and went on to become Director of Intergovernmental Affairs / Law Enforcement Liaison in the Attorney General’s Office. After forming Mario E Diaz & Associates in 2001, the Janet Napolitano for Governor Committee was first in line as a premier client. In 2002, Napolitano won her election and Mario was appointed to Governor-Elect Napolitano’s Transition Team. He later served as Deputy Chief of Staff to Governor Napolitano. In 2003, Mario was appointed State Director of the John Kerry for President Campaign and achieved success when Kerry won overwhelmingly in the Arizona Primary. Kerry’s primary victory in Arizona helped Mario E Diaz & Associates expand its contacts nationally. Under Mario’s leadership, the firm serves as a resource for school districts, community colleges, tribal nations, non-profit and labor organizations, candidates for public office, high-profile corporations, city, county, state and federal government entities. The Diaz team is well known for its strategic advice and counsel to business, political & community leaders for move public policy forward. Mario and his family are also owners of an art gallery, Francesca’s Art Gallery, located in the heart of Phoenix. Mario has serves on the Board of Directors for the Arizona Latino Research Enterprise (Founding Member), the Arizona Family Health Partnership, and the Arizona State University President’s Minority Advisory Council. In 2014, Mario was a candidate for a seat on the Maricopa County Community College Governing Board where he received nearly 190,000 votes from Maricopa County voters. Mario is frequently asked to speak at political conferences such as the American Association of Political Consultants. In 2009, Mario was one of a handful of national Latino leaders invited by the American Israel Public Affairs Committee to visit Israel. He has also traveled with the Tucson Hispanic Chamber of Commerce to China to seek business opportunities between China and Arizona. Mario received his Bachelor of Science in Political Science degree from Arizona State University in 1991, and went on to receive his Masters of Public Administration degree from ASU where he was named Latino Graduate of the Year. He is married to Veronica De La O and has two children.